Salt Lake City, UT, USA. The capital city of Utah will be the site this Saturday, February 9th of the acclaimed Basque Dinner Dance and the NABO (North American federation of Basque entities) winter meeting. The activities will begin at 8am on Saturday with the NABO meeting that gathers delegates from the several US and Canadian Basque clubs and entities that comprise the federation. In the evening the Dinner Dance takes over that is usually attended by a large number of non-Basque Americans. This Saturday’s event marks the 36th edition that is of great benefit for the Basque Club and generates a very large part of the club’s annual budget. 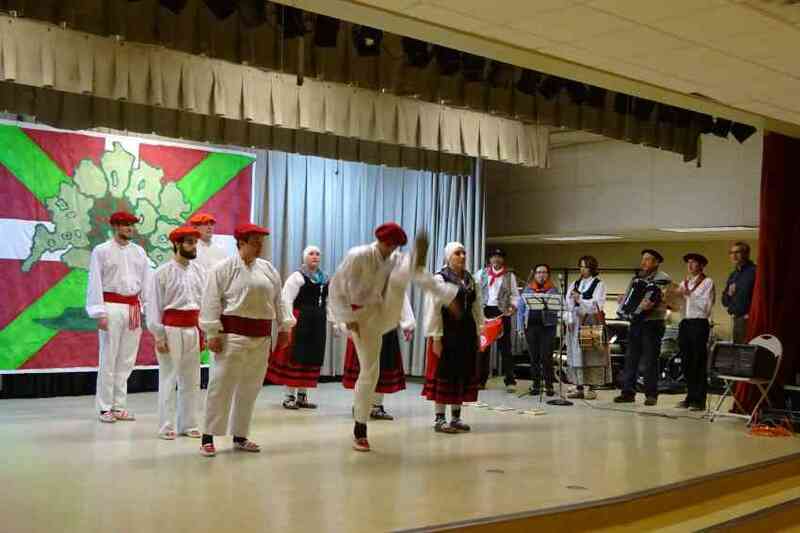 The team of Utah Basque cooks work hard to provide a traditional Basque menu, while the musicians and dantzaris of the Utah-ko Triskalariak perform and accompany the evening that will also include raffles, a silent auction and other initiatives designed to raise money for the club. The event sold out a few days ago.